There are days when the magic is flowing, pleasure is abundant, good work comes easily, and all is right with the world. But for all of us, there are times when the beauty of life seems to flee and we are swallowed up in deep, defeating pain. Sometimes the pain seems insurmountable and all-encompassing, the weight of getting through it too heavy to bear. We may have lost a partner, or a job, or a child, or done something that feels unforgivable; sometimes there is no apparent reason and the pain just rises up to consume us. I wrote earlier about waltzing with medusa, but to be honest sometimes it is less of a waltz and more of an eviscerating body-slam. 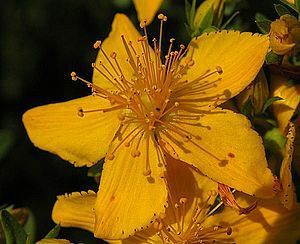 You can take St. John’s Wort, sure, or soak in a valerian bath, or better yet take a long walk somewhere beautiful. But this kind of pain is not something that can ever be fully addressed with external remedies. This pain comes from inside. It comes from the core of who you are, and if it is to be healed, it will be healed from the inside. How? Lying there with your heart clawed out, unable to move or think, how can you possibly begin to heal? The first, and most difficult, thing to remember is that you have to feel what you’re feeling. You have to feel that torn open heart, that gray chaos in the gut, that crushing weight in your chest. Rather than reading an uplifting book or busying yourself with errands or shoving it down and getting on with things—at some point, you simply have to lie there and feel it. Let it expand inside of you. Quietly, and without judgment, try to describe it to yourself. Does it feel heavy, dark, light, tight, melting, cold? Is it squeezing your heart, compressing your belly, making you feel ethereal and dizzy? Stay with the sensation; use your body rather than your mind to feel it. If it has a message for you, listen, but know that this is a message of the body and won’t be expressed in words. Resist the inclination to intellectualize (oh, i’m feeling this way because of that old issue that started when i was seven…) and just feel and listen. Put your presence and compassion into the sensation. Put an arm around it, as though it were an old friend who had come to you brokenhearted. Sit with the feeling, with love. This can be very, very hard to do, for often when we are hurting this much it is because there is something we fundamentally do not like about ourselves. The part that we hate, or that we are afraid of, the part we try to spin or hide when we interact with others, this part got prodded somehow, and that’s where the pain is coming from. Letting yourself feel this, trying to put an arm around it, can feel like tumbling headfirst into the abyss. But you CAN do it. And until you can sit with this part of yourself, until you can accept it and treat it with compassion, you will always be coming to the world divided. You will never be bringing your full strength or your full authenticity to the table, never be fully intimate with anyone. You will continually attract embodiments of this inner hurt into your life instead of the loving, strong people you want to surround yourself with. So let it tear you open. Don’t soothe it with external balms, not just yet. This is what I mean by true beauty always: no matter how incredibly painful the moment is, if we are really experiencing it authentically, there is a kind of terrible beauty even here. It is raw and horrible and real, and in letting it be all of these things, we know it for what it is, and move through it. If the feeling gets too overwhelming, let yourself write freely. Or take a pen and scribble a drawing, or paint, or make cathartic music (my favorite). The important thing is not to judge what you make. Create for creation’s sake, from the feeling. You can burn it when you finish, if you like. It takes a long time. Don’t hurry yourself or criticize yourself for not “getting over it” quickly enough. Feel the feelings until they change. Take it slow. You can return here every day, feeling inside, loving what’s there. It could take a lifetime, and that’s fine. And the incredible truth is that after the pain, after the plunge into the abyss and the weight and the misery, when we return to the world of beauty and magic WE ARE REALLY THERE. No part of us has been left behind or hidden away. Our relationships with others feel delicious and nurturing because they feed all of us, not just the parts that we have deemed acceptable. And we know now that no matter what happens in life, we have the ability to hold and love and heal ourselves from the inside. Sending lots of love to my friends who are hurting and healing right now. And if this post speaks to you, I highly recommend the work of Helene Brenner. I like the book Care of the Soul by Thomas Moore for just this kind of thinking. It’s a subversive idea antithetical to our cultural ideals of “wellness”, and I like it. Lovely, important post. I love Thomas Moore! I need to find that book…thanks, Maureen! Thanks for the inspiring words, they are most appreciated and in this case, quite timely. I’m so glad! I’ve been so blessed in the wisdom of friends when I most need it and so happy to pass it on. Thanks so much for this. I was gently intrigued as to what happened that day and have compassion for whatever it was. Pain is SO the common denominator – I have recently been feeling so much anger and pain that no one will ever understand a certain insanely unique trauma I experienced and have found that really hard and lonely, but then I remembered that maybe no one will have experienced it exactly that way themselves but they will know pain. It’s the same for everything else too – no one ever knows exactly what went down or how you feel/felt, but people do have their own treasure chest of current or past pain, and so in that sense we are never alone in our experience. Other ways, yes, but in those kind of ways, provided we pick the right people, we’re not at all.